Once in a while the world witness some extraordinary events that changes or redefines our experiences. The association of OnePlus and Star Wars is undoubtedly one of them. The duo has captivated generations with their thoughtful future driven products which will keep inspiring the world for years to come. OnePlus recently collaborated with one of the most awaited movies of the year -Star Wars: The Last Jedi, to celebrate the OnePlus anniversary in India on Dec 02, 2017. The one-of-its kind association made it very clear that Star Wars fans in India are soon going to see something really special. OnePlus community, in India and around the globe, will get a chance to enjoy the legacy of both the brands in the coming days. If you haven't guessed it by now, check out our list of '5 Star Wars gadgets or collectibles you must own as a fan'. Here you go. OnePlus 5T's Star Wars addition is the perfect treat for Star Wars fans. The new edition is the perfect blend of technology and storytelling with a great attention to detail, something that will keep OnePlus and Star Wars fan community hooked to their new smartphone. OnePlus 5T during the Comic Con Bangalore event unveiled a teaser video to confirm the launch of OnePlus 5T Star Wars Limited Edition. The smartphone will go on sale in India on Amazon.in on December 15. And as it is a Limited Edition variant, make sure you don't miss the chance to get your hands on the OnePlus 5T Star Wars Edition on time. OnePlus and Star Wars fans can be a part of the launch event in Mumbai by booking the tickets for Rs. 999 only on Paytm, starting 7th Dec from 10 am onwards. The launch event will witness an unforgettable gathering of OnePlus and Star Wars fan community to cherish some lifetime experiences. 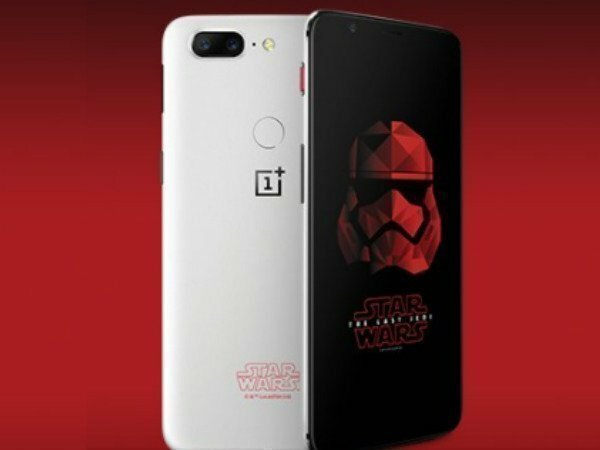 OnePlus 5T Star Wars Limited Edition is designed exclusively for the OnePlus community and Star Wars fans in India. The limited edition handset has been given a new paint job that goes in sync with the new Star Wars movies' theme. The smartphone features a white colour rear panel with a red ‘Star Wars' trademark embossed at the bottom that looks just amazing. Unlike the standard OnePlus 5T, the Star Wars limited edition OnePlus 5T comes with a Crimson colored notification slider to complement the red theme of the upcoming Star Wars flick. In addition to the new Red and White colored Star Wars themed paint job, OnePlus might also ship the limited edition OnePlus 5T with some pre-installed Star Wars themes, packs and wallpapers. This will make the new OnePlus 5T the best technology accessory a Star Wars fans can ever have in a lifetime. The Limited Edition Star Wars OnePlus 5T is not just about design and customized Star Wars themes and wallpapers, the specifications of the new OnePlus 5T are a force to reckon with. OnePlus 5T Limited Edition Star Wars variant is backed by the top-of-the line Qualcomm Snapdragon 835 chipset coupled with 6GB RAM 8GB RAM variant options. 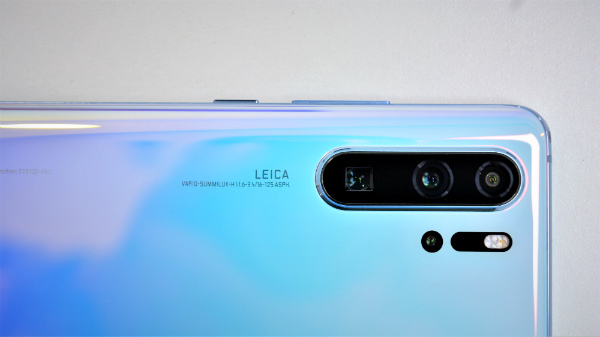 The smartphone sports a 20MP+16MP rear camera and boasts a 6-inch optic AMOLED screen with 18:9 aspect ratio. It runs OxygenOS based on Android 7.1.1 Nougat and also comes with a snappy Face Unlock feature. While any Star Wars fan just cannot afford to miss out the opportunity to grab the Limited Edition Star Wars OnePlus 5T handset, here are some other collectibles worth checking out. A Star Wars collection is incomplete without an action figure of Black Darth Vader. This Hasbro's first-ever 6-inch Star Wars figure is available on Amazon.in and has been crafted out with much details and attention that every Star Wars fans will never get over it. This Special Edition Battle-Worn BB-8 Star Wars Force Band by Sphero is a must have collectible for any Star Wars fan. The BB-8 App-Enabled Droid can be controlled with just a wave of your hand making it a perfect combination of style and technology. You can also guide this BB-8 collectible with a smartphone, tablet, or the included Force Band in the package. It is available at Thingeek.com. How about giving your electronic devices a Star Wars treatment with this one-of-its kind USB charger? The R2-D2 USB Car Charger can charge two of your devices at one time with the help of its two USB charging ports each of which provide 2.1 Amps. The charger is technically the exact lookalike of R2-D2 with a rotating head and has a Blue/red LED indicator inside the front radar eye lens that indicates USB port power status. The charger can be bought from Thingeek.com. Last but not the least, the Star Wars Millennium Falcon Book Light available at Thingeek.com pretty much completes your list of Star Wars collectibles. It's a must have accessory for book lovers who are also diehard fans of Star Wars.